You might have noticed a change around town, as there is a new Tallahassee real estate company on Thomasville Road. 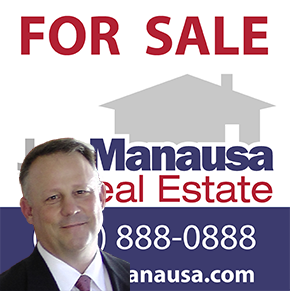 Joe Manausa Real Estate is open for business, and it is located at 2066 Thomasville Road in Tallahassee. So you might be wondering why I would switch to a brand new real estate company in Tallahassee, and the reasons are exciting. Industry best practices from around the Country would be readily available to me, a small-market real estate broker. I really feel that this was true in the 1990s and a little bit beyond, but something changed. Anybody who has been a regular reader of the Tallahassee Real Estate Blog knows that I tenaciously track every conceivable statistic about the Tallahassee real estate market and the real estate industry in general. One fact that caught my eye was the move by consumers beginning about 15 years ago towards the internet. Of course, I am referring to consumers of just about everything, not just people looking to sell a home or buy a home. People began flocking to the internet because it allowed them to educate themselves while remaining anonymous. That is now so true in real estate. In fact, a recent NAR survey of homebuyers showed that 95% of homebuyers used the internet during their home purchase, and it is this one statistic that has changed everything for me. There is still value in branding, and I'm not going to suggest otherwise. But consumers with whom we interact do not care about our brand, they care about their needs. And the internet is a wonderful marketplace. If I do not provide the best information on Tallahassee real estate, people will try to find it elsewhere. Brand or no brand, consumers want what they want, and they will go to the company that provides it. They simply do not care about your brand if you do not have what they want. Joe Manausa Real Estate is committed to delivering what the Tallahassee real estate consumer wants. They want information while they are "shopping," and they want service when they are ready to buy. That is exactly what we are delivering, and we need some help. By focusing our marketing on Tallahassee real estate (instead of branding activities like super bowl ads), we are generating more business than we can handle. So we are looking for both new employees and new real estate agents to help us service the web-enabled home buying consumer. If you or somebody you know likes to talk to people and is comfortable on the internet (and would love a job in the Tallahassee real estate market), just drop me a note and we'll schedule a time to meet and see what is possible.